Now that trick-or-treating is all done here in Nashville (and everywhere else), good chance you’re left with bulk bags of candy you bought and didn’t get to give out, bulk bags of candy that the kids in your family hauled home, or a mix of both. 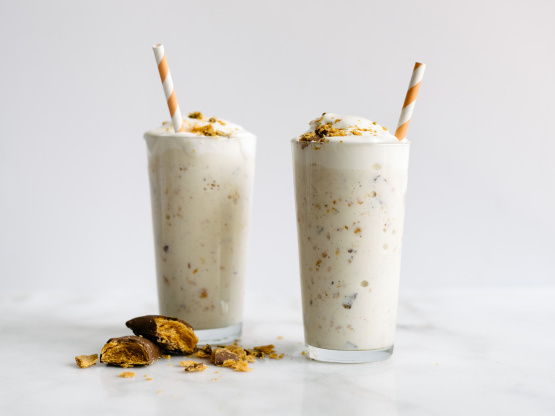 While downing dozens of tiny chocolate bars is a time-honored tradition, sometimes it’s nice to mix things up a little, figuratively and literally. And sometimes it helps our dental health to use the Halloween bounty to make things we can give as gifts, bring to parties or otherwise get out of our homes. If you have a huge Halloween haul you don’t know what to do with, here are some recipes that might help — we’re definitely trying a few. For research. 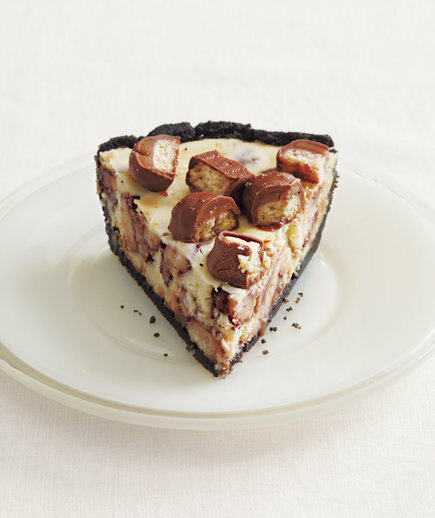 Real Simple shows you how to take your cache of mini Twix bars, plus some cream cheese, a few eggs and some sugar, and reimagine it all into a serious cheesecake. Barely 20 minutes of active “cooking,” too. There’s a large contingency of people who think ever-present candy corn belongs only in the trash, never anywhere near being eaten. But this looks like a good way to use up the haul you always seem to end up with anyway. 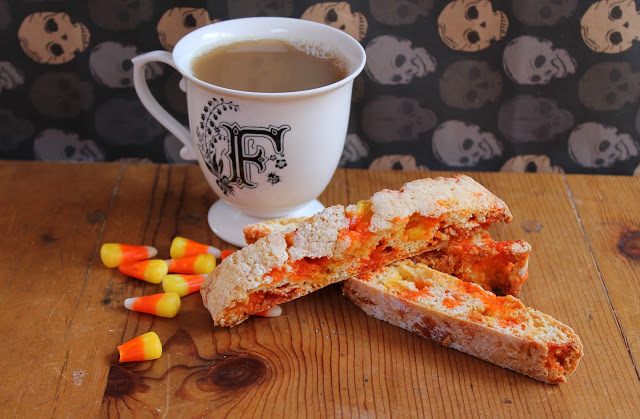 Biscotti’s always a good bonus if you’re having people over for brunch/coffee/tea on the weekend, and with the candy corn baked in, you’re mostly getting the sweetness/softness out of them, not the… whatever they’re supposed to be on their own. Recipe from the Food Nasty blog. We know a lot of people whose Christmas traditions include giving out/enjoying popcorn balls, and your leftover Halloween haul can be a fun way to make the flavors more interesting. This recipe from The Pioneer Woman uses candy corn and peanuts, but you can take whatever Halloween candy you’re looking to get rid of, and stir it into the popcorn mixture. 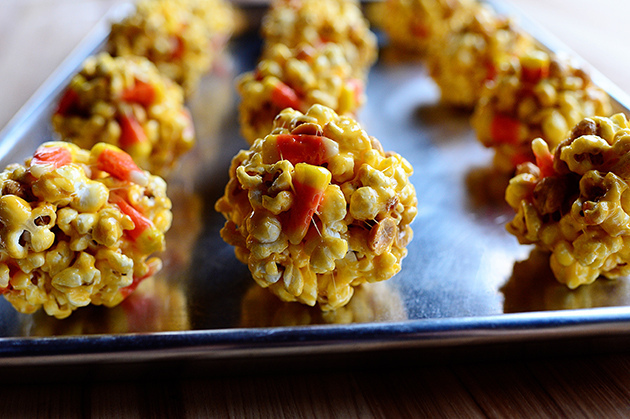 It’s an easy(ish) recipe that parents and trick-or-treaters can do together, too. 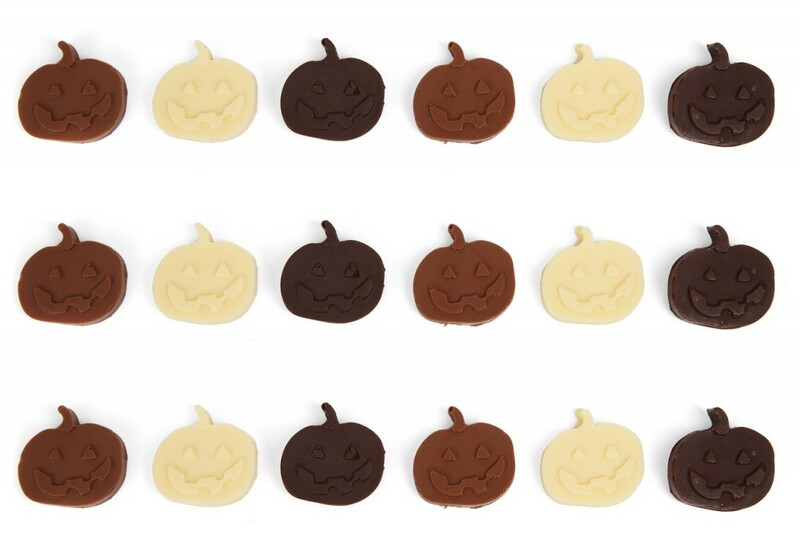 That little pumpkin full of fun-sized chocolate can pretty easily be turned into after-dinner treats for parents. 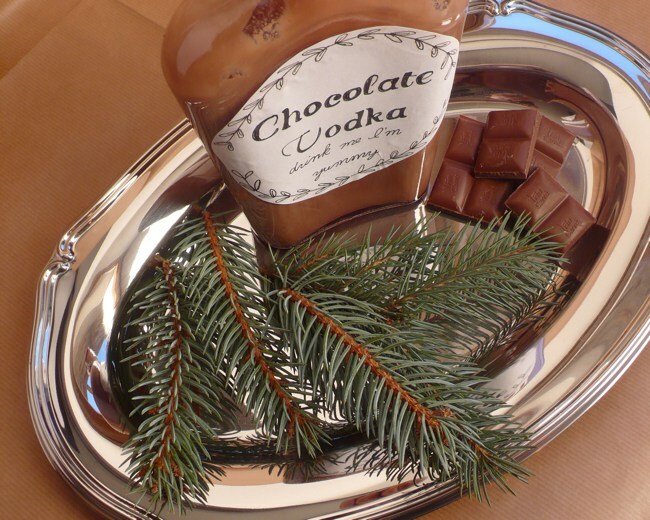 The Randomly Happy blog has a recipe for chocolate vodka that’s meant as a DIY Christmas gift suggestion, but no one says you have to give this stuff away. We’re not exactly going to find any salad recipes that call for Halloween candy… But anyhow, here’s a catch-all recipe that’ll let you use up a variety of the tiny treats you have laying around, from peanut butter cups and M&Ms to Hershey’s minis. 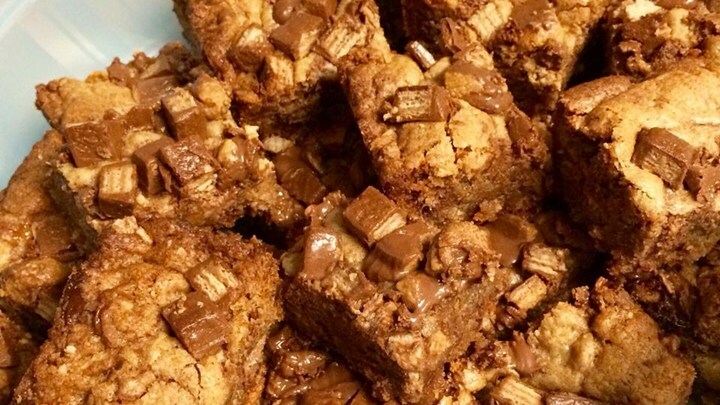 It’s a pretty standard blondie recipe from AllRecipes, just tricked out with treats. If you have kids around, it’s another one that’s easy enough to have them help with (as long as they’re willing to give up some of the Halloween haul without a fight). Any of these going on your to-make list? Have a Halloween candy salad recipe we should know about? Tell us what’s up in the comments!